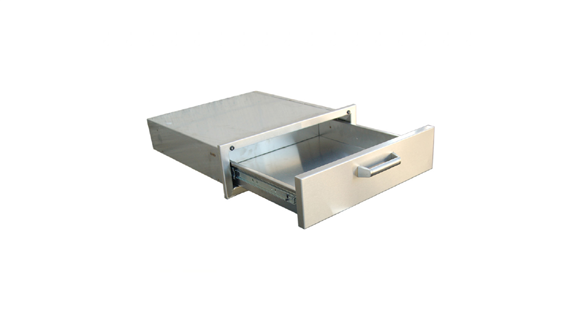 Detailed Description: PCM 260 Series 30 X 15 Single Access Drawer features commercial 304 grade, stainless steel construction, heavy duty commercial grade ball bearing drawer glides, full length drawer tracks, and a number 4 brushed finish. 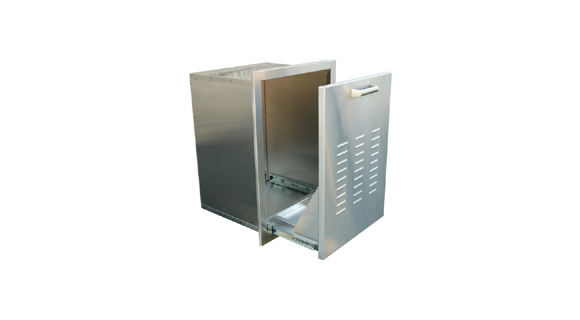 This PCM unit is fully enclosed and flush mounted. 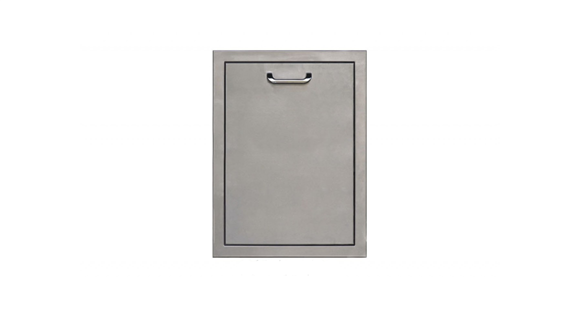 PCM 260 Series Roll Out Propane Tank Storage Bin features commercial 304 grade, stainless steel construction, roll out tray designed to hold a standard propane tank, heavy duty commercial grade ball bearing drawer glides with full length tracks, and a number 4 brushed finish. This PCM unit is flush mounted. 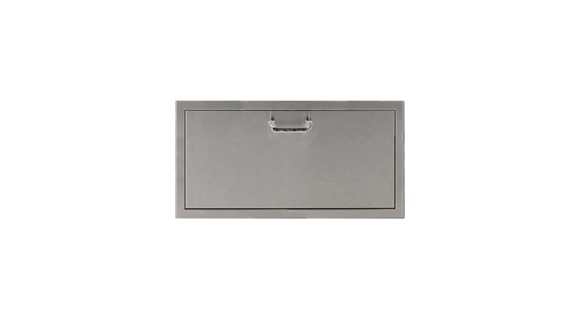 PCM 260 Series 30 X 4 Single Access Drawer features commercial 304 grade, stainless steel construction, heavy duty commercial grade ball bearing drawer glides, full length drawer tracks,and a number 4 brushed finish. This PCM unit is fully enclosed and flush mounted. 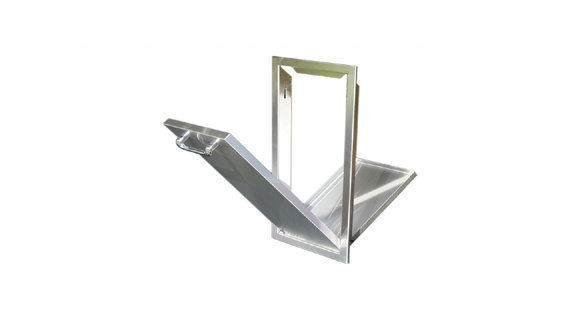 This BBQ island paper towel holder / dispenser is an excellent addition to any outdoor kitchen / bbq island. It is made of brushed 304 stainless steel and will match all of our other PCM 260 series items. These are easy to install with pre-drilled holes. The unit is fully enclosed and constructed from 304 stainless steel. 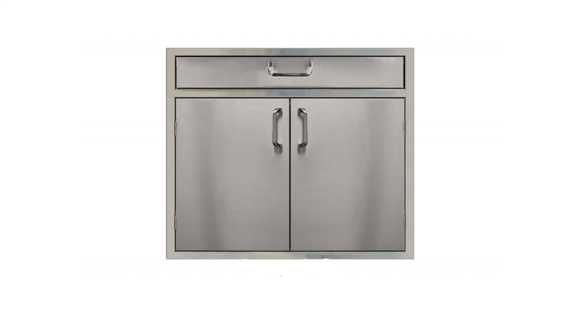 The PCM 260 series trash tilt out is the perfect accessory for your bbq island and is manufactured in the U.S.A. 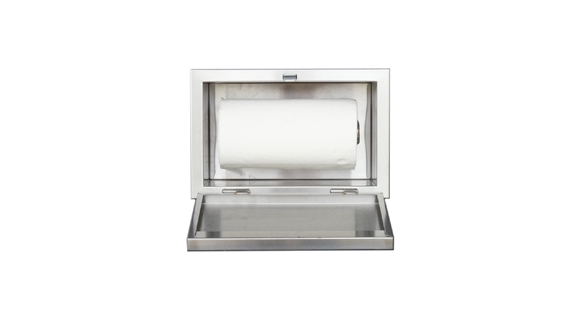 It is constructed of a brushed 304 Stainless steel that will last a lifetime. The edges are welded, ground, and then finished with a #4 brush for a beautiful finish. 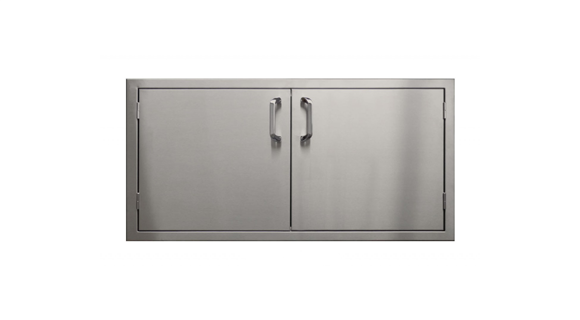 PCM 260 Series 30 Inch Double Door & 4 Inch Drawer Combo features commercial 304 grade, stainless steel construction (including hinges and frame); external flag hinges on door for easy removal; heavy duty commercial grade ball bearing drawer glides; full length drawer tracks; and a number 4 brushed finish. Doors are open for bbq island / outdoor kitchen access. The drawers are fully enclosed and the unit is flush mounted. 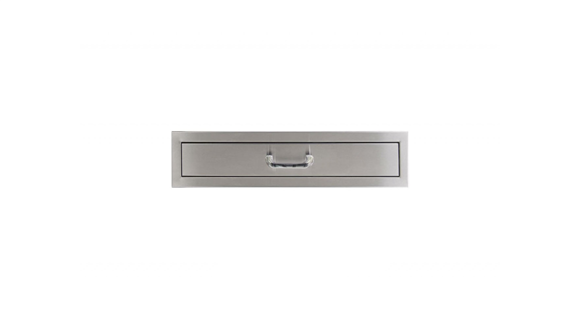 PCM 260 Series 36 Inch Single Door & Double Drawer Combo features commercial 304 grade, stainless steel construction (including hinges and frame), external flag hinges on door for easy removal, heavy duty commercial grade ball bearing drawer glides with full length drawer tracks, and a number 4 brushed finish. Door is open for bbq island / outdoor kitchen access. The drawers are fully enclosed and the unit is flush mounted. Lifetime warranty on all stainless steel parts. 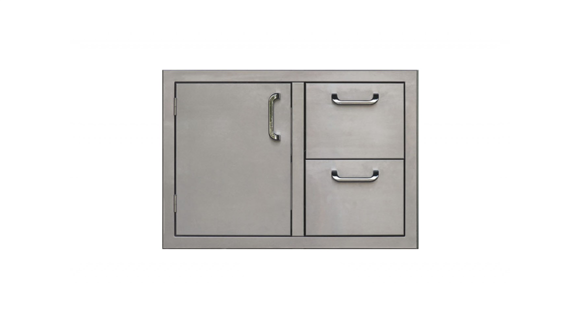 PCM 260 Series 30 Inch Single Door & Double Drawer Combo features commercial 304 grade, stainless steel construction (including hinges and frame), external flag hinges on door for easy removal, heavy duty commercial grade ball bearing drawer glides with full length drawer tracks, and a number 4 brushed finish. Door is open for bbq island / outdoor kitchen access. The drawers are fully enclosed and the unit is flush mounted. Lifetime warranty on all stainless steel parts. 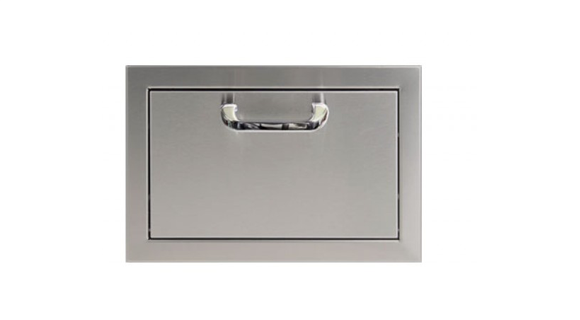 PCM 260 Series Single Door, Double Drawer & Trash Tilt Out Combo features: commercial 304 grade, stainless steel construction (including hinges and frame), external flag hinges on door for easy removal, heavy duty commercial grade ball bearing drawer glides, full length drawer track, tilt-out trash tray, and a number 4 brushed finish. The door opens for access under your bbq island. The drawers are fully enclosed. Full Lifetime warranty on all stainless steel parts.